In 2010: An electric car drove the Pan-American Highway -- see 17 Nov. The 'Edison2' very light car #98 won us$5m in the Progressive Insurance Automotive X-Prize competition -- 17 Sept. 007's Aston Martin was auctioned -- 27 Oct. The Birdsville Races were rained out -- 3 Sept. A 1936 Bugatti Type 57SC Atlantic sold for reputedly us$30million+, and a 1963 Ferrari 250 GTO for £12m -- 5 May. Spyker bought Saab from GM -- 26 Jan. Toyota had a PR disaster over safety recalls (most of 2010). The au$ ranged from us$0.80 to, briefly, us$1.00+. Oil spent most of the year between us$75 and us$85 per barrel. The Wikileaks web site, and its founder Julian Assange, seriously embarrassed that "bastion of free speech" the USA -- the BBC [www], the Grauniad [www], the NYT [www], & wikil'[.info][12/2010]. 24 December 2010: Tropical low / tropical cyclone 'Tasha' crossed the Queensland coast between Cairns and Innisfail bringing flooding to large areas of the state -- wikip [www]. Also see Jan. 2011. 23 December 2010: "Heavy rain and swollen rivers have isolated several Queensland communities" -- ABC [www]. 14 December 2010 (Tues), .au: "Catastrophic Fire Danger is forecast for the west coast total fire ban district" of South Australia -- BOM [www][14/12]. December 2010: Australia's Best Cars for 2010, in various categories, included Hyundai 'i20 Active' ($16.5K, best light car <au$20K), ... Hyundai 'i30' ($22.4K, best small car <au$35), ... Volkswagen 'Jetta 103 TDI' ($36K, best medium car <50K), ... LandRover 'Discovery 4' ($82K, best all terrain 4WD) -- RAC [www], RACQ [www]. 12 December 2010: Tom Walkinshaw, a major figure in motor racing, died aged 64 -- [bbc]. 11 December 2010: Audi released details of its 2011 Le Mans car "the new R18 ... For the first time since 1999, Audi will contest Le Mans with a closed coupe again. ... 3.7-liter V6 TDI [engine]" to suit 2011's rules -- [www]. 10 December 2010: UK ULP £1.22/l (avg, au$1.96), diesel £1.26/l (au$2.02) -- the AA [www]. 10 December 2010: F1 will adopt new engine rules from 2013 -- "... four cylinders, 1.6 litre with high pressure gasoline injection up to 500 bar with a maximum of 12,000 rpm ... and energy recovery systems ..." turbos, from 2012 the "inclusion of fuel compounds produced from biomass ...," and from 2011 "... the article forbidding team orders (39.1) is deleted" as being unenforceable, and driver-adjustable rear wings introduced to aid overtaking (and KERS back again after a voluntary absence) -- FIA [www], [bbc]. 10 December 2010: Germany v. Austria 'Race to the South Pole', a 320km ski race [www], with vehicle backup by 'Arctic Trucks' -- [www]. 9 December 2010: The 'Moon Regan Transantarctic Expedition' crossed the Antarctic continent from Union Glacier (25/11) to the Ross Ice Shelf (9/12, 1,946km) in 303 hours using a propeller-driven scout machine and two 6x6 "monster" trucks -- [www]. 9 December 2010, .au: Flooding in NSW, SA and Vic. -- [bom], [abc][9/12/'10]. 7 December 2010: Dredging of the mouth of the River Murray has stopped with "... up to 48,000 megalitres of water per day ... flowing into the Coorong wetlands and out [of] the Murray mouth. ..." -- [abc]. 6 December 2010: Terminal gate prices, ULP $1.20/l Melb., $1.21/l Perth; diesel $1.21/l Melb., $1.22/l Perth ($au) -- AIP [www]. 5 December 2010, .au: "... 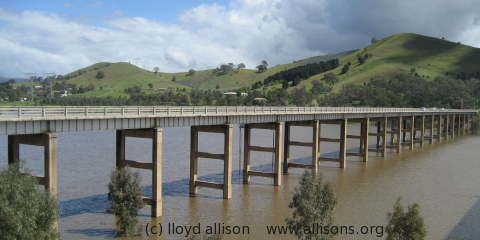 The Murrumbidgee River at Gundagai is expected to peak at around 10.2 metres [Monday] at 3:00pm (AEDT) and 10 metres at Wagga. ..." -- [abc]. 4 December 2010, .au: "... locusts had taken flight across areas along the Murray and south of Swan Hill, with some swarms stretching up to 25kms. ..." -- [locusts@dpi][4Dec.]. 4 December 2010: Historics at Brooklands, .uk, auction, [www], inc. a 1939 Daimler DB18 Drophead Coupe, once Winston Churchill's. 3 December 2010: Nissan launched its 'Leaf' electric car in .jp and on sale 20 Dec., also on sale in the .us in Dec., and parts of .eu from early 2011 -- [www]. 3 December 2010, .au: The Toyota Landcruiser 70 series and the Nissan Patrol cab-chassis 4x4 utes only achieved 3-star safety ratings (out of 5) in 'ANCAP' crash tests -- [www]. 2 December 2010: "The year 2010 is almost certain to rank in the top 3 warmest years since the beginning of instrumental climate records in 1850 ..." -- WMO [www], [bbc]. 1 December 2010: The Discovery 4 won the 2010 Best All-Terrain 4WD Award -- [www]. 1 December 2010: 'Four degrees and beyond: The potential for a global temperature increase of four degrees and its implications', in Phil. Trans. of The Royal Soc., 369(1934), pp.6-19, online 2010 [doi:10.1098/rsta.2010.0303], examines what happens if we let global warming get to +4°C (and more articles in the special issue [www]). The 'Zero Race' for electric vehicles passed through Cancun "after 25,000km of driving during 71 days" -- [www][6/12]. 28 November 2010 (Sun): Historic Commercial Vehicles, Sandown, Melb., Vic., HCVC -- [www]. 27-28 November 2010: Race of Champions, Dusseldorf, .de -- [www]. 27 November 2010 (Sat. ), Vic., .au: Victorian State Election -- [www]. The Liberal-National coalition won narrowly -- [abc]. 26 November 2010: 'Heavy rainfall over the last two days has pushed Melbourne's rainfall to 649mm, which is above the long-term average of 647.7mm. "... ends the longest run of below average years ... - a 13 year stretch from 1997 to 2009" ...' -- BOM [www]. 26 November 2010, .uk: "... Met Office warnings of heavy snow and icy roads are in place for most of Scotland ... Severe conditions are also predicted for Wales, south-west and north-east England and the East Midlands. ..." -- [bbc], [met], [AA][11/'10], [AA][1/12/'10]. 23 November 2010: Organizers of the "Argentina Chile Dakar announced the details [for Jan.] 2011 ..." -- [www]. 22 November 2010: The Bloodhound 1000mph car team had begun clearing stones from the proposed track on Hakskeen Pan desert in NW South Africa, by hand, or rather by many hands -- [www]. 22 November 2010, sign of the times: "The first Baojun 630 passenger car from SAIC-GM-Wuling (SGMW), one of GM China's main joint ventures, rolled off the production line today in Liuzhou, Guangxi. ... In 2009, SAIC-GM-Wuling [launched in 2002] had domestic sales of 1,061,213 units ..." -- GM [www]. 21 November 2010: World Day of Remembrance for Road Traffic Victims [www]. 20 November 2010: The F1 teams conducted tests on new Pirelli tyres in preparation for 2011 -- [www]. 19-28 November 2010: Los Angeles Auto Show -- [www]. Including Chrysler Dodge 'Charger' back; Ford 'Focus' 2012(?) [www]; GM Cadillac 'Urban Luxury' (!) concept [www] & Chevrolet 'Camaro' convertible (2/1011) & 'Volt' [www] [www]; Honda 'Fit' ('Jazz') electric vehicle concept [www] [www]; Kia 'Optima' hybrid (2.4 l petrol + 30kW electric + 8.5kW HSG), & electric 'Pop' concept [www]; Land Rover 5-door Range Rover 'Evoque' [www]; Lotus 'Elise', 'Exige', 'Evora', 'Esprit' (with Sharon Stone), 'Elan', 'Elite' & 'Eterne' [www] (see Paris, Oct. below); Mazda 'Shinari' concept; Mercedes 'B-class F-Cell' hydrogen fuel cell car [www]; Mitsubishi 'i-MiEV' with "enlarged body structure"(!-) for USA [www] [www]; Nissan Murano Cross Cabriolet concept (why? ), 'Ellure' concept, & 'Quest'; Porsche 'Cayman R' 3.4-litre 6 (2/2011) [www] [www]; Saab '9-4X' "crossover" (USA May 2011) [www]; Subaru 'Impreza' concept with CVT (& 4WD) [www]; Toyota electric 'RAV4' concept (with Tesla Motors Inc., 2012? ), 2011 'Corolla' [www] [www] [www] [www]; VW 'Eos'. November 2010: Mercedes-Benz announced that it had "commenced full-rate production of G-Wagons for the Australian Defence Force [ADF] ... production line in Austria ..." -- MB [www]. 19 November 2010, .uk: ULP £1.19/l (~au$1.93/l), diesel £1.23/l (~au$2.00/l) -- the AA [www]. 18 November 2010, .uk: Car production for Jan-Oct 2010 was 1,050,689, 31% up on the same period 2009 -- SMMT [www][18/11]. In au. : VFACTS figures "showed that 80,925 passenger cars, SUVs and commercial vehicles were sold in October, up 0.1%" on Oct 2009. And for Jan-Oct, "861,645 vehicles [were] sold,", up 13% -- FCAI [www][4/11]. 18 November 2010: "Ford will transfer part of its shares in Mazda to several of Mazda's business partners. ..." reducing from 11% to 3.5% -- Mazda [www]. 17 November 2010: GM announced that its public offering would raise "[us]$20.1 billion [to] $23.1 billion" -- [www]. 17 November 2010: Team Racing Green Endurance completed driving its electric car the "26,000km length of the Pan-American Highway", from Chena, Alaska to Ushuaia, Tierra del Fuego -- [www]. 14 November 2010, race 19: Abu Dhabi F1 Grand Prix [www], start 5pm local, 1pm GMT. Result: 1. Sebastian Vettel [Red Bull], 2. Lewis Hamilton [McLaren Mercedes], 3. Jenson Button (McLaren Mercedes). The drivers' world championship was Alonso's and Ferrari's to loose ... Vettel led from the start but, with passing difficult, the timing of pit-stops largely determined the other places. Alonso finished 7th and Webber 8th, thus Vettel grabbed the drivers' world championship: Vettel 256 pts, Alonso 252, Webber 242, Hamilton 240 -- FIA [www]. Red Bull had already clinched the constructors' world championship in Brazil, 7 Nov..
11-14 November 2010: The MPH Show (ii), NEC, Birmingham [www]. 11 November 2010: "A new report has found the Federal Government's billion-dollar subsidies for solar energy favoured the wealthy and barely reduced Australia's greenhouse gas emissions. ..." -- [abc], & [cclp]@anu. 10 November 2010: GM announced a third quarter profit with "earnings per share of us$1.20" -- [www]. 9 November 2010: The International Energy Agency's [IEA] annual 'World Energy Outlook' report [WEO] suggests that if governments want to cut CO2 emissions a good step would be to stop subsidising the use of fossil fuels. And, an IEEP report, 'The Indirect Land Use Change Impact of Biofuels', suggests that the increased use of biofuels, as proposed in the EU, may not improve CO2 emissions overall -- [www]. Also see 9 April 2009. 9 November 2010: "Locust are expected to begin swarming in Victoria's [.au] north-west by the end of the week. ..." -- [abc], & [locusts@dpi]. 7 November 2010, race 18: Brazilian F1 Grand Prix, Sao Paulo [www], start 2pm local, 4pm GMT. Results: 1. Sebastian Vettel [Red Bull], 2. Mark Webber (Red Bull), 3. Fernando Alonso [Ferrari]. Red Bull secured the constructors' world championship but the drivers' world championship remained open with one race to go: 1. Alonso 246, 2. Webber 238, 3. Vettel 231. With 1st 25pts, 2nd 18pts, 3rd 15pts, ... (see 2 Feb), a V, W, A finish would give Alonso the championship, W, V, A, Webber. If Ferrari & Alonso had been penalised in points, not just $, after Massa let Alonso past in the German F1 Grand Prix (25 July 2010) things would also have looked very different. 7 November 2010: London to Brighton Veteran Car Run [www], with associated events from Friday the 5th. "Three of the regular participants ... are powered solely by electricity ...  Cleveland Stanhope, ... 1902 Columbia Tonneau, [and] 1903 Waverley Surrey." -- [www]. (Electric cars held the World Land Speed Record in 1898 and 1899.) At the preceding auction (Bonhams), a 1903 10/12hp Sunbeam sold for £321,600. 6 November 2010: BMW will invest "€400million" in Leipzig to build the electric "Megacity Vehicle (MCV)" -- [www]. 5-7 November 2010: Historic Sandown, Melbourne, .au. [www]. 4-7 November 2010: The MPH Show (i), Earls Court, London [www]. 4 November 2010: The one millionth Range Rover to be built since 1970 was donated to the charity 'Help for Heroes' (H4H), to be auctioned -- [www], [www], [H4H], [www]. 4 November 2010: Morgan (uk) confirmed details of a modern Morgan Threewheeler (~£25K) to go into production, fitted with a Harley Davidson 1800cc V-twin, as a homage to its 1909-1953 Threewheeler -- [www]. 3 November 2010: "Three quarters of AA members now accept the use of speed cameras, according to a new AA/Populus poll of 18,251 AA members. ..." -- the AA [www]. 3 November 2010: GM announced that it had commenced its us$13 billion public offering "of 365 million shares of common stock to be sold by certain of its stockholders. ... also issue 60 million shares of its Series B mandatory convertible junior preferred stock with a liquidation amount of us$50 per share. The estimated price range for the offering of common stock is $26.00 to $29.00 ..." -- GM [www]. 2 November (Tues) 2010, .au: Melbourne Cup Day. The race was won by Americain. 29, 30 October 2010, .au: "... Flood Watch for North East Victoria ... A cold front will cross the Bight on Friday before linking with an inland trough to reach western Victoria on Friday night. ... Rainfall totals of 50 to 75mm have been forecast for the weekend with higher totals of around 100mm possible over the ranges. ..." -- BOM [www][28/10], [www]. E.g., 130mm fell at Mt. Hotham, 9am 30th to 31st, [bom], [abc][31/10]. 29 October 2010: Saab Spyker announced results for Q3 2010, including "7,430 cars retailed ... 9,777 cars produced ..." -- [www]. 29 October 2010: Brand Keys annual Customer Loyalty Leaders list ranked Apple (iPhone) #1 overall for top smart phone, also #5 overall and top computer, and Hyundai #6 overall and top car maker -- [www]. Despite its 2010 woes, Toyota, at #37 overall, was nevertheless the 2nd ranked car maker. 28 October 2010: "Japan's Nissan Motors has announced it is recalling more than 2.1 million cars globally due to a faulty engine control system. ..." -- [abc]; .au #2010/12094: C11 Tiida, D40 Navara, R51 Pathfinder -- [www]. 28 October 2010: 'Drive Green 2020. More Hope than reality? ', a report by J. D. Power & Assoc., predicted that in 2020, out of global sales of 71 million, electric and hybdrid cars would make up only 5.2 million (7.3%) -- [www]. 27 October 2010: RM Auctions' Automobiles of London, including 007's "Aston Martin DB5 [FMP 7B] as driven by Sean Connery in Goldfinger and Thunderball" -- [www], and a 1961 Formula One Ferguson P99, chassis #P991. Bond's Aston sold for £2,912,000 (us$4,608,500) = £2.6m + 12% costs -- [www]. 26 October 2010: "Ford Motor Company today reported third quarter net income of us$1.7 billion, or 43¢ per share ..." -- [www]. 25 October 2010: Sergio Marchionne, head of Fiat, stirred workers up, saying 'Not a cent from the two billion € of profits forecast for 2010 will be generated in Italy' -- [bbc]. 24 October 2010, race 17: Korean F1 Grand Prix start 3pm local, 6am GMT. Results: 1. Fernando Alonso [Ferrari], 2. Lewis Hamilton [McLaren Mercedes], 3. Filipe Massa (Ferrari). The race started in the rain, behind the safety car, but was suspended after three laps. It resumed, after about an hour, still behind the safety car. The Red Bulls started one and two but neither finished: Mark Webber crashed on lap 19 and Sebastian Vettel's engine failed in lap 46. Alonso also took the lead in the drivers' championship from Webber. [bbc]. With an engine limit of eight per season, reliability could play a part in the two remaining races. 22-24 October 2010, .au: Motorclassica, the Australian International Concours d'Elegance and Classic Motor Show, Royal Exhibition Building, Melbourne, Vic., [www], adults $20, Fri 5pm-9pm, Sat & Sun 9am-5pm. Also Picnic with the Classics, Argyle Square, Lygon Street, Carlton, Sat & Sun 10am-2pm, free. 22 October 2010: "Honda [US] today announced a voluntary safety recall of 471,820 model year 2005 to 2007 Acura RL and model year 2005 to early 2007 Honda Odyssey vehicles to replace a seal in the brake master cylinder. It is possible for the seal to fail if the [factory] DOT 3 brake fluid ... is replaced with certain aftermarket brake fluids with reduced lubrication properties ..." -- [www], [www]. Also (.au) PRA #2010/12093 re 2007 Legend sedans -- [www]. 20 October 2010: Toyota announced that it would "conduct a voluntary Safety Recall involving approximately 740,000 - 2005 through 2006 Avalon, 2004 through 2006 Highlander (non Hybrid) and Lexus RX330, and 2006 Lexus GS300, IS250, and IS350 vehicles sold in the [USA] ..." over a brake master cylinder problem -- [www], [www], and [.au], [abc]. 19-21 October 2010: 2nd International Trade Fair for electric mobility, Munich [www]. "My goal is set: A total of at least one million electric cars driving on Germany's streets by 2020." -- Dr. Peter Ramsauer, Federal Minister of Transport [5/'10]. 16 October 2010: The Peking to Paris Motor Challenge (overall and) 'classic category' (pre 1968), was won by Matthew Bryson & Gerald Crown in a 1964 Holden EH. The 'pioneer category' (pre 1921) was won by Charles Bishop & Rosalind Bishop in 1925 Vauxhall 30/98, and the 'vintage category' (pre 1941) by Steve Hyde & Janet Lyne in a 1937 Chevrolet Fangio Coupe. The oldest competing car was the 1907 Itala 40 of David and Karen Ayre; they finished 4th in class -- [www]. 16 October 2010, .au: A cold snap in Victoria brought snow down to 500m -- [abc]. 12 October 2010: Aston Martin announced that "the Cygnet luxury city car [would] go into production in 2011" -- [www]. Based on the Toyota iQ (! ), the Gygnet was shown as a concept at Geneva in March. Is this "green"? 11 October 2010: GM released details of the Chevrolet Volt's 'Voltec' transmission giving the lie to the car being a pure series hybrid. "... the [petrol] engine generates power that is fed through the drive unit and is balanced by the generator and traction motor. ..." -- [www]. "... 111 kW electric motor ... 1.4-litre [petrol] engine ... 16-kWh lithium-ion battery (198kg) ..." -- [www]. 11 October 2010, .uk: "More than one third of car occupants killed in collisions are not wearing seat belts ..." -- the AA [www]. 10 October 2010, race 16: Japanese F1 Grand Prix, start 3pm local, 6am GMT. Results: 1. Sebastian Vettel [Red Bull], 2. Mark Webber (Red Bull), 3. Fernando Alonso [Ferrari]. Rain on Saturday caused qualifying to be put back to Sunday morning. The race was dry. 10 October 2010, .au: Bathurst 1000, Mount Panorama, Bathurst, NSW -- [www]. The race was won by Craig Lowndes and Mark Skaife driving a Holden. 7 October 2010: Toyota announced that "worldwide cumulative sales of the Toyota 'Prius' ... hybrid ... [reached] approx. 2,012,000 units sold as of the end of September. ..." (since 1997, .jp) -- [www]. 6 October 2010, .uk: Don't know what to make of this ... "Anyone who owns a laptop computer can now fight crime from the safety of their home and win cash prizes for catching thieves red-handed, under a new British monitoring scheme that went live this week. ... registered armchair snoopers who watch hours of CCTV footage from cameras in stores and high street venues across the country. ... drew criticism from civil liberties campaigners ..." -- [abc] (and 'Internet Eyes' [www]). There are very many CCTV cameras in the uk. 4 October 2010: A Sunday Times motoring journalist "set a new world record for the longest distance travelled by a production car on a single tank of fuel. The record of 1,526.63 miles broke the previous one by more than 67 miles and was set in a standard Volkswagen Passat Bluemotion 1.6 diesel, which has a [nominal] 70 litre fuel tank. ... 89.85 mpg [imp.] ..." -- the AA [www] -- "3.13 litres per 100 km" -- VW. 3 October 2010 (Sun), .uk: The Motor Sports Association's, MSA Classic, run for pre-1990 cars -- [www]. 3 October 2010 (Sun), .au: Daylight Saving, began at 2am (AEST), moving the clock forward at 2am, to 3am, on the first Sunday in October -- [www], [www]. 2-17 October 2010: Paris Motor Show [www] (press 30th Sept. and 1 Oct.). Held every two years, it was lucky to miss last year's GFC and motor show carnage. Including: Audi 'Quattro' (homage) concept [www], 'e-tron' spyder plug-in hybrid [www], 'A1 S-line'; Bentley new 'Continental GT' 6-litre W12 twin-turbo 423kW 700Nm AWD £136K (and later an "efficient" V8); BMW revised 'X3', 'Concept 6'(-series) 2+2 coupe (+ all-LED headlights) [www]; Chrysler Jeep have a new 2.8-litre turbo-diesel [www]; Citroen 'Survolt' electric concept, 'DS4' (2011) [www] (or[flush]); Ford next gen. 'Focus ST' (2012) [www] [www]; GM Opel/Vauxhall 'GTC Paris' concept [www] [www], 'Astra Sports Tourer' (€18K+) [www], new 'Meriva', & 'Ampera' (Volt) for late 2011 [www] [www] [www]; Honda hybrid 'Jazz' (2011); Hyundai 'ix20', 'i10' city car, Genesis coupe, 'ix35 Blue' (1.7 l. diesel) SUV; Jaguar 'C-X75' gas-turbine(!) electric hybrid concept [www]; Kia 'POP' electric concept, new 'Optima' sedan (2011), [www] [www]; Lamborghini 'Sesto Elemento' V10 concept & 'Gallardo Blancpain'; Land Rover (Range Rover) 'Evoque' (2011, £30K to £45K?) [www]; Lotus's big splash with reborn 'Esprit' (2013), new 'Elan' (2013? ), revised 'Elise' (2015? ), all new 'Elite' 2+2 protoype front-mid 5.0 l V8 (2014?) from c£115K [www], 4-door 'Eterne' (2016? ), & supercharged 'Evora S' [www], [www] & [bbc]; Maserati 'GranTurismo MC Stradale' (2011) 4.7 l V8 ?£106K±? [www]; Mazda revised '2'; Mercedes revised 'CL' & 'CLS', 'S 250' CDI BlueEFFICIENCY (4-cyl turbo diesel) [www]; Mitsubishi 'i-MiEV' electric, 'Lancer Sportback', new 'Outlander 2.2 DiD' [www]; Nissan 'Townpod' concept electric, 'Leaf' electric, 'Juke' SUV, revised 'Micra' & 'X-Trail' [www], [www]; Peugeot '508' for 2011 + a diesel electric hybrid version (2012), '3008' diesel electric hybrid (2011), 'EX1' roadster electric concept [www], [www]; Renault revised 'Laguna', 'DeZir' electric concept & other electrics [www], [www]; Saab '9-3 ePower' electric prototype (nee Volt) [www]; Suzuki new 'Swift' [www]; Toyota 'FT-CH' compact hybrid, 'FT-EV II' electric, 'Prius' plug-in hybrid, 'Verso-S' compact, 'iQ' [www]; Volvo 'C30 DRIVe' electric visions [www]; VW new 'Passat' (also see Audi, Bentley, ...) [www], [www]. 1-8 October 2010, .au: Green Zone Drive, Docklands, Melb. -- [www] -- test drive low emission vehicles (LEVs), such as the Ford Fiesta Econetic 3.7 l/100km, 98gm CO2/km (diesel, manual, au$25K). 1-2 October 2010, Fri, Sat: Deni Ute Muster, Deniliquin, NSW, .au -- [www]. 30 September - 3 October 2010: National Jeep Jamboree, Lardner Park, Warragul, Victoria, .au -- [www]. 29 September 2010; Saab announced that it had made "an agreement for the supply of [1.6 litre, turbo, 4-cyl] engines" starting in 2012, from BMW -- [www], [www]. 26 September 2010, race 15: Singapore F1 Grand Prix [www], start 8pm local, noon GMT. Results: 1. Fernando Alonso [Ferrari], 2. Sebastian Vettel [Red Bull], 3. Mark Webber (Red Bull). Alonso did a good qualifying lap to claim pole, and hence the win, although Vettel possibly had the faster car. 25 September 2010, .uk: Historics at Brooklands auction -- [www]. 23 September 2010, .uk: On British roads there were "222,146 reported casualties of all severities in 2009 ... 2,222 people were killed, 12% lower than in 2008 ..." and compared to 1994-98, "the number killed was 38% lower ..." -- Dept. for Transport (DFT) [www], the AA [www]. 23 September 2010, .au: Malcolm Douglas (69), outback adventurer, environmentalist and documentary film maker, was killed in an accident -- ABC [www]. 20 September 2010, .uk: "The average UK price of petrol fell 1.27p, from 116.52p a litre to 115.25, between mid August and mid September. This time last year, it cost 106.54p a litre. Diesel now costs 118.02p a litre, compared to 119.15 a month ago ..." -- AA [www]. 18-28 September 2010: Royal Melbourne Show -- [www]. 17-19 September 2010: Goodwood Revival [www]. 17 September 2010: The Edison2 very light car #98 won us$5m in the Progressive Insurance Automotive X-Prize competition. The 4-seat car achieved 101.4 MPGe, 86 gm CO2/mile. It weighs 375kg, has a CD of 0.16, and is powered by a single-cylinder engine running on E85. Two electric cars won $2.5m each. [X-Prize] [www] and [E2]. 16 September 2010, Melb. .au: Surprise, au$ strong, oil steady, but school holidays started on the 18th, so ULP jumped 13%. 16 September 2010: Fiat shareholders voted to split car-making from the rest of the group (trucks, tractors, ...) -- [www]. 16 September 2010, .uk: "The [Gvmt] announced today that £24m will go to six ... projects [for] Ultra Low Carbon Vehicles ... [inc.] Ford and Jaguar Land Rover ..." -- [www]. 15 September 2010, .au: A new edn of "Measures of Australia's progress" was released by the Australian Bureau of Statistics -- [www]. E.g., real per capita income grew "from $35,000 in 1999 to $45,300 in 2009 (2007-08 prices)." and "in 2009, there were ... 6.9 road fatalities/100,000 people [v.] 9.3/100,000 in 1999." 12 September 2010, race 14: Italian F1 Grand Prix, Monza [www], start 2pm local, noon GMT. Results: 1. Fernando Alonso [Ferrari], 2. Jenson Button [McLaren Mercedes], 3. Filipe Massa (Ferrari) -- the local fans were happy. Button had the best start but Alonso gained the lead at the pit-stop; there was little on-track passing at the front. The cars of Lewis Hamilton (McLaren) and Massa touched on the first lap, breaking the steering of the former. 12 September 2010: Start Eco Car Spectacular, The Mall, London -- [www]. 11-12 September 2010: International Autojumble, Bealieu, .uk [www]['10]. 11 September 2010 (Sat. ): Duxford, Spitfires and the Battle of Britain (70th anniversary), Imperial War Museum (IWM) Duxford, .uk. 8 September 2010: Toyota .au recalled Toyota Hilux 4x4s built Jan 2005 - Jan 2010 after rear tailshaft centre bearing brackets failed on rough, corrugated roads, PRA #2010/11961 -- [www]. 8 September 2010: The FIA released the F1 calendar for 2011 -- [www] (and no new teams). 7 September 2010, .au: Drought ('00s), fire (2009), and flood , [www], business as usual. 4-5 September 2010, uk: The Battle of Britain Air Show Imperial War Museum, Duxford [www]. 3-5 September 2010: National 4x4 Show, Melbourne Showgrounds [www]. 3-4 September 2010 (Fri-Sat), .au: Birdsville Races -- [www]. But, "the Birdsville Races [were] cancelled for the first time in its 128-year history after overnight rain ... flooded the track. ..." -- ABC [www], [7/9]. 3 September 2010, .au: SA experienced thunderstorms and flooding with many outback roads closed [www]. In Vic. : "Severe Weather Warning for destructive winds [in] the Alpine Areas, Western, North Central, Northern Country, Wimmera, Mallee, Central, W. and S. Gippsland, E. Gippsland and N.E. forecast districts. ..." -- BOM [www], and flooding in the NE -- [www], [5/9], [vicroads]. 3 September 2010: A "Nyngan farmer report[ed the] first locust hatching for the NSW spring," in the Nyngan District, in what is expected to be "one of the worst plague locust incursions for many years." -- DPI [www]. 2-5 September 2010: 36th UK (inter-) National MicroCar Rally, Malvern [www], and "the start of a challenging 7-day driving event based in Wales" for pre-war <1000cc, post-war to 1975 ≤700cc. 1 September 2010: Ferrari recalled "all of the 458 Italia cars following reports of ... the cars catching fire. ..." -- [BBC], DT [www]. 1 September 2010, .au: Wattle Day -- [www], [www], [www]. Wattle is the national floral emblem, Golden Wattle (Acacia pycnantha). 31 August 2010: The US Army marked the end of combat missions in Iraq -- [www], [www]. About 50,000 US troops remain -- [BBC]. 29 August 2010, race 13: Belgian F1 Grand Prix, Spa-Francorchamps [www], start 2pm local, noon GMT. Results: 1. Lewis Hamilton [McLaren Mercedes], 2. Mark Webber [Red Bull], 3. Robert Kubica [Renault]. Hamilton lead from the start. Intermittent rain, particularly near the end of the race, stirred things up behind him. 27 August 2010: "The Victorian Government has agreed to implement all but one [voluntary property buy-back] of the Bushfire Royal Commission's final recommendations. ..." -- [ABC], [RC]. Also see 31 July below. 26 August 2010: "Deliveries [of the Audi A1] begin in Austria, Belgium, Luxembourg and Switzerland, followed by most other European markets from mid-September. With a starting price of €15,800 ..." -- Audi [www]. 25-31 August 2010: National Road Transport Hall of Fame Reunion, Alice Springs, NT, .au. Tom Kruse, now 96, was honoured -- [www]. 24 August 2010, .uk: "Business secretary, Vince Cable [visited] auto. sites in the W.Midlands to observe the progress ... to enhance [uk's] low carbon vehicle capabilities. ... Jaguar's hybrid car ... the Limo Green which he says 'shows Britain's premium car sector [can rise] to the environmental challenges ...' The Limo Green prototype project is a collaboration between Lotus, Caparo and ... MIRA ..." -- SMMT [www], gov [www]; a series hybrid based on the XJ -- Jaguar [www]. 24 August 2010, .au: "Mount Hotham has recorded its highest August snowfalls in almost a decade. Just over 140cm of snow has fallen [in Aug.] ..." -- [ABC]. 23 August 2010: The Green Vehicle Guide .gov .au showed 1. Toyota Prius 3.9 l/100km (95RON), 89gm CO2/km (sceptical); 2. Smart fourtwo 4.4 l/100km (95RON), 105gm CO2/km; 3. Suzuki Alto GL 4.7 l/100km (95RON), 110gm CO2/km; 4. VW Polo 5.5 l/100km (95RON), 128gm CO2/km ... Holden Commodore VE SISI 9.3 l/100km (91RON), 221 km CO2/km; -- [www]. 21-22 August 2010: Micro/Mini Car World Meet, Crystal Lake, IL 60014, USA [www]. 21 August 2010 (Sat. ), .au: Australian Federal Election [ABC][17/7], [16/8]; RACV [www][17/8]. (Arrange a postal vote if travelling.) A year ago, this election was Labor's to loose, a feat it virtually achieved. By Sunday, a "hung parliament", with independents holding the balance of power, seemed the most likely result -- [ABC][22/8], [25/8], [27/8], [30/8], [31/8]. Also see 7 Sept..
19 August 2010: "Iraq is on track for drawing down to 50,000 [US] troops by Sept. 1, which marks the beginning of Operation New Dawn and a full transition to stability operations. ..." -- US Army [www]. 18 August 2010: GM, bankrupt and bailed out by the US Government last year, "announced that it [had] filed a registration statement on form S-1 with the U.S. Securities and Exchange Commission (SEC) for a proposed initial public offering [IPO] ..." -- GM [www][5/'10]. 17 August 2010, .au: Terminal gate prices ULP Melb. $1.16/l, Sydney $1.17/l, Perth $1.17/l; diesel $1.19, $1.20, $1.20 resp. -- AIP [www]. August 2010: "The Lotus 125 is an ... F1 inspired race-car complete with Cosworth 3.5 litre GP V8 engine producing 640bhp linked to a 6-speed semi-automatic gearbox with paddle shift. ..." -- Lotus [www], [www][8/'10]. August 2010: Morgan (.uk) began taking orders (for 2012) for the 4 seat Morgan Eva GT -- much aluminium, prettier than some of their recent offerings, and a BMW twin-turbo 3-litre straight six (306bhp, 400Nm) -- [www]. 15 August 2010 (Sun): Pebble Beach Concours d'Elegance [www]. The auction (14-15th), by Gooding [www], inc. lot 46 1959 Ferrari 250 GT LWB California Spyder Competizione $7,260,000, lot 117 1933 Alfa Romeo 8C 2300 Monza $6,710,000, lot 133 1961 Ferrari 250 GT SWB Berlinetta $6,105,000, lot 146 1995 McLaren F1 chassis #062 $3,575,000 ($us). 15 August 2010: A 1949 Delahaye 175S Roadster, once owned by Diana Dors, was sold for us$3 million (£1.9m) by RM Auctions -- [BBC]. 14-15 August 2010: Winton Historic Festival of Speed, near Benalla, Vic., .au [www]. 12-13 August 2010: The Quail, a Motorsports Gathering (Fri) [www], and (Thu-Fri) Bonhams & Butterfields Auction [www]. Lot 236, 1972-73 Porsche 917 Interserie Spyder, nee 1970 Gulf-JWA Le Mans 917K coupe chassis #917 026 (until Le Mans 1970) /917 031 engine #917 031 sold for us$3,967,000 (inc. buyer's premium). 12 August 2010: Mahindra (& Mahindra, of .in) "emerged as the preferred bidder for ... South Korean SUV maker Ssangyong Motor Company ..." -- [www]. 11 August 2010: "A preliminary investigation into [“sudden unintended acceleration” (SUA)] accidents involving Toyota cars has suggested driver error may have played a part in many of the incidents. ..." -- [BBC]. Also see 13 July. 10 August 2010: Tata Motors (India) announced "growth of 64.2% ... consolidated profit before tax (PBT) ... for the quarter was Rs2,275.44 crore ... [and] volumes for Jaguar Land Rover in Q1 FY2010-11 were 57,153 vehicles [v.] 35,947 vehicles in Q1 FY2009-10 ..." -- [www], [www]. 9 August 2010: "... over the next five years Australia's oil import bill is expected to almost double from $16 billion a year to $30b. ..." -- 7.30 Report [ABC]. 9 August 2010, .au: "The worst locust plague in 30 years is expected to hit regional New South Wales in the coming weeks ... experts [predict] that locusts will hatch in vast numbers around Warren, Coonamble, Brewarrina and Bourke by mid-August. ..." -- [ABC]. 5 August 010: GM announced that "all new Vauxhall cars [would be] covered by a 'lifetime' warranty" -- [www] -- "lifetime" meaning "first owner" and upto "100,000 miles" (160k km). Hmmm, most other makes of car have a lifetime greater than 100,000 miles. 4 August 2010, .au: "... The SUV segment was the strongest "performer during July with an increase of 29% [v. 2009]; followed by light commercials (up 13.7%) and then passenger cars with a 3.2% increase. ..." -- FCAI [www]. 4 August 2010: Land Rover revealed plans for a 2WD 'e-D4' Freelander for 2011. 2 August 2010: Zhejiang Geely Holding Group Co., Ltd. (.cn) announced that it had "completed the acquisition of 100% of Volvo Car Corporation ('Volvo Cars') from Ford Motor Company. ..." -- [www], [www]. 1 August 2010, race 12: Hungarian F1 Grand Prix [www], start 2pm local, noon GMT. Results: 1. Mark Webber [Red Bull], 2. Fernando Alonso [Ferrari], 3. Sebastian Vettel (Red Bull). There was pit-lane drama but not much on the track, although Michael Schumacher (Mercedes) received a 10-place grid penalty, to be served at Spa, for illegitimately impeding Rubens Barrichello (Williams) in a dangerous move. 31 July 2010, .au: The final report of the 2009 Victorian Bushfires Royal Commission, [www], was presented to the Governor of Victoria. Recommendations include evacuations and much more fuel-reduction burning [ABC]. Also see 27 Aug. above, and Feb. 2009. 30 July 2010: Recall (#2010/11856, .au) of Toyota Land Cruiser 100 Series 2005-2007 & Lexus LX470 2002-2007 over a 'steering intermediate shaft snap ring' problem -- [www]. And (#2010/11848) of diesel Land Rover Discovery 3 TDV6 & Range Rover Sport TDV6 2004-2009 over a brake problem -- [www]. 30 July 2010, .uk: Passers by were delighted to see a Koenigsegg CCXR and a Lamborghini Murcielago LP670-4 SuperVeloce belonging to the Al-Thani royal family, the owners of Harrods, wheel-clamped outside the store -- D.T. [www]. 29 July 2010, .uk: "Average new car CO2 figure [fell] 4.7% in first half of 2010 to 145.2gm/km, compared with the same period in 2009 ..." -- SMMT [www]. 27 July 2010: The Progressive Insurance Automotive X Prize concluded its track competition events. In the 4-seat Mainstream class, just one team, Eddison2, remained with two internal combustion cars -- [www], [www], [E2]. Validation stage: 2-27 August. 27 July 2010: GM announced pricing of the Chevrolet 'Volt' petrol-electric series-hybrid, from us$41,000 (net $33,500 with max. income tax credit) -- [www]. 25 July 2010, .au: The Age newspaper bowed to the inevitable and downsized its Sunday (paper) motoring section; most of the once numerous car classified ads slipped away to the internet during the 00s. 25 July 2010, race 11: German F1 Grand Prix, Hockenheim [www], start 2pm local, noon GMT. Results: 1. Fernando Alonso [Ferrari], 2. Filipe Massa (Ferrari), 3. Sebastian Vettel [Red Bull]. The Ferraris split the Red Bulls in qualifying but Massa and Alonso jumped Vettel at the start. Massa allowed Alonso past on lap 49, and the Ferrari team was later fined $100,000 for breaching sporting regulations (& a disciplinary hearing of the World Council ... Paris on 8 Sept. 2010, which "confirm[ed] the Stewards' decision" -- [www]). The Guild of Motoring Writers recently released a DVD of the first World Championship Formula One Grand Prix, held at Silverstone in May 1950; £15 but only 500 copies. The original footage was rediscovered in the National Film Archive. -- GOMW [www]. 24-25 July 2010: Farnborough Air Show, uk [www]. Public 24-25, trade & gov. from 19th. 23-25 July 2010: Silverstone Classic [www]. 21-25 July 2010: The War and Peace Show, The Hop Farm, Paddock Wood, Kent, uk [www]. 21-23 July 2010: Salon Prive, Hurlingham Club, Fulham, London, uk, from £150 [www]. 19 July 2010: At the Farnborough Air Show, the British Bloodhound Project unveiled a full-size mock-up of the planned 1000mph "car" being designed for a World Land Speed Record attempt -- [www]. 17-18 July 2010: Pageant of Power, Cholmondeley Castle, Cheshire, .uk [www], historic and contemporary automotive power, on Land, Sea or Air. 16-18 July 2010: LRM's LandRover max Show, Newark, uk [www]. Moved to 28-30 Aug..
16-18 July 2010: LRO's Billing LandRover Show, Northamptonshire, uk [www]. 16 July 2010: Daimler and (.cn) BAIC's Foton Motor are working towards establishing a 50:50 truck building joint venture -- [www]. 15 July 2010: Land Rover announced that it would start testing Range Rover Evoque pre-production prototypes "undisguised", not to say garishly painted -- [www]. 11 July 2010: Start of the Mongolian Charity Car Rally 2010 -- [www]. 11 July 2010, race 10: British F1 Grand Prix, Silverstone [www], the middle race of the 2010 season, start 1pm local, noon GMT. Results: 1. Mark Webber [Red Bull], 2. Lewis Hamilton [McLaren Mercedes], 3. Nico Rosberg [Mercedes GP]. The Red Bulls were by far the quickest cars in qualifying. Mark Webber got the best start but Sebastian Vettel suffered a puncture at the first corner and finished 7th, after help from the safety car. There was some good overtaking on the modified circuit. 10 July 2010: Mercedes-Benz showed a G-wagon LAPV (G-wagen Light Armoured Patrol Vehicle) 6.X concept, with an armoured monocoque steel body, at June's EUROSATORY 2010 arms show -- [www]. 4 July 2010: A Bugatti Veyron 16.4 Super Sport raised the land speed record for a “production” car to 431.07km/h (267.9mph) [www], [www][7/'10]. 2-4 July 2010: 18th Goodwood Festival of Speed, Viva Veloce! (The Passion for Speed) [www], inc. an outing for the McLaren MP4-12C sports car, and the UK debut of the Koenigsegg Agera [www]. 1 July 2010, .au: "Trucks [are now] banned from using the right-hand lane on the Princes Freeway ... between Kororoit Creek road, Altona, and Avalon Road, Lara" on the Melbourne - Geelong stretch -- RACV [www]. .au: "Year-to-date, 531,168 vehicles have been sold, an increase of 16.7% compared to the first six months of 2009 ... The SUV segment was the strongest performer ... with an increase of 30.8% ..." -- FCAI [www][5/7]. .uk: "UK automotive production rose in June with steady improvement across the car, commercial vehicle and engine sectors against a weak 2009", year to date 701,266, up 55% v. 2009 -- SMMT [www][22/7]. Chrysler LLC: Production for 2010 to June was 806,997 vehicles (+145% v. 329,174 in 2009), and Jeep 194,379 (+132%, v. 83,804 in 2009) -- [www][7/7]. Ford: "Ford, Lincoln and Mercury first half sales totaled 954,745, up 28% v. year ago" -- [www][1/7]. GM: "Calendar-year-to-date sales [1,069,577] for GM's four brands are up 32%" v. last year -- [www][1/7]. Mazda: Jan.-June 2010, global total 627,856 vehicles, 64% more than last year -- [www][27/7]. Mitsubishi: "In the first 6 months of calendar 2010 total global production at 506,987 units rose 83.2% over the same period in 2009, the first year-on-year increase since the first-half of calendar 2007" -- [www][27/7]. PSA Peugeot Citroen: "Sales of new vehicles and CKD units up 16.9% to 1,856,000 units [in] half-year unit sales" -- [www][7/7]. Toyota USA: "For the first-half of the year, TMS reported sales of 846,542 units ... up 10.6% ... over the same period last year. ..." -- [www][1/7]. 27 June 2010, race 9: European F1 Grand Prix, Valencia street circuit [www], start 2pm local, noon GMT. Results: 1. Sebastian Vettel [Red Bull], 2. Lewis Hamilton [McLaren Mercedes], 3. Jenson Button (McLaren Mercedes). There was little overtaking. Mark Webber (Red Bull) had a spectacular crash on lap 17 but was unharmed. 27 June 2010, Sunday: Race Day, Pikes Peak International Hill Climb, Colorado Springs, USA [www], including a new electric class. Unlimited class: 1. Nobuhiro Tajima, Suzuki SX4 4WD, 10:11.490. 26-27 June 2010: Tankfest, the Tank Museum, Bovington, Dorset, uk. 26 June 2010: Charles Spencer "Spen" King (1925-2010), the father of the Range Rover and many Rover cars, died from injuries sustained in a bicycle accident earlier in June. 26 June 2010: Midsummer Classic, concours d'elegance, Stoke Park Club, Buckinghamshire, uk (from £95) [www] -- beware, much 'Flash'. 23 June 2010: "Pirelli has been selected as the single tyre supplier for the FIA [F1] World Championship for a period of three years, commencing in 2011. ... From 2011, adjustable bodywork[*] may be activated by the driver ... for the sole purpose of improving overtaking ..." -- FIA [www]. [*] The rear-wing flap(? ), under certain conditions. 23 June 2010: Lake Eyre yacht club "says about 50 boats have registered for a rare event in the South Australian desert in early July. ..." -- [ABC]. 22 June 2010, .au: The RACV released its annual survey of motoring costs -- RACV [www]. Based on 5 years ownership, from new, and 15,000km/year, RACV estimates varied from $118/week for a Hyundai Getz S 3-door hatch 1.4 manual, to $386/week for a Toyota Landcruiser GXL 4x4 wagon DTV8 4.7 litre turbo diesel auto. As always, depreciation and standing costs form the major (70-80%) part of the total. 20 June 2010: Classic Team Lotus Festival, Snetterton, uk [www], inc. an example of every Lotus F1 car from 1957-1994. 17 June 2010: 'Terrafugia, Inc., developer of the Transition ... "Flying Car", has received an exemption from the FAA to allow ... a maximum takeoff weight (MTOW) of 1430 pounds (650 kg). ... [classifying it as] a Light Sport Aircraft. ..." -- Terrafugia [www][6/'10]. 17 June 2010: uk automotive production in May 2010 jumped 59%, to 115,110, v. (GFC) May 2009 -- SMMT [www]. 16 June 2010: GM and "Opel/Vauxhall have decided to withdraw all applications for government loan guarantees across Europe. ..." -- [www], [www]. Truth is they probably were not going to get them, particularly from .de, at least not any time soon. 14 June 2010, .au: "Lake Eyre brims with life ... The Cooper Creek has already crossed the Birdsville Track on its way to Lake Eyre ..." -- [ABC]. 14 June 2010: "Tasmanian environmentalists are calling on Federal Environment Minister Peter Garrett to intervene in a stoush about four-wheel driving in the Tarkine area of north-west Tasmania. ..." -- [ABC]. 14 June 2010: Japan's Hayabusa spacecraft returned to earth in the Woomera test range, .au, after its trip to asteroid Itokawa -- ABC , . 14 June (Mon) 2010: Queen's Birthday Long Weekend (Vic., .au). 13 June 2010, race 8: Canadian F1 Grand Prix [www], start noon local, 4pm GMT. Results: 1. Lewis Hamilton [McLaren Mercedes], 2. Jenson Button (McLaren Mercedes), 3. Fernando Alonso [Ferrari]. High tyre wear led to an interesting race, almost like rain. The much fancied Red Bulls finished 4th and 5th. A new race distance record of 3,371.5 miles was set, beating that of the 1971 Porsche 917 (chicanes having been added since then). 1. Timo Bernhard, Romain Dumas, Mike Rockenfeller Audi R15 Tdi #9 (397 laps, 225.228km/h), 2. Marcel Faessler, Andre Lotterer, Benoit Treluyer Audi R15 Tdi #8, 3. Dindo (Rinaldo) Capello, Tom Kristensen, Allan McNish Audi R15 Tdi #7. The Peugeots had early speed but retired. 11-14 June 2010: Finke Desert Race, Alice Springs, NT, .au [www]. Scrutineering 11th, prologue 12th, race 13th & 14th. 11 June 2010: Product recall #2010/11716 of Hewlett-Packard Australia ... and Compaq Notebook ... Lithium-Ion batteries, model #s 6510b, 6515b. 6710b, 6710s, 6715b, 6715s & 6720s, "fire and burn hazard" -- [www]. 10-11 June 2010: SAE International's Supermileage competition, Eaton Corp. Marshall Proving Grounds, Marshall, Mich., [www]. Also see 4-5 June 2009. 8 June 2010: "Green energy systems are no longer just a 'nice to have' but are essential in securing our energy supply and protecting the environment, according to a new report from Lloyd's 360 Risk Insight and UK think tank Chatham House. ..." -- [www], [pdf][6/'10]. 7-13 June 2010: Motorexpo, Canary Wharf, London [www]. 7 June 2010: Chrysler announced the recall of some of its models, e.g., the Jeep Wrangler, over a brake problem, NHTSA campaign #10V236000, affecting upto 288,968 vehicles [www]. 7 June 2010 (Mon): Pickles muscle car auction, Lang Road, Moore Park, NSW, .au, includes 08/02, Holden, HRT, 7-litre (427), Monaro Coupe -- one of only two [www][5/'10]. 6 June 2010: Military Vehicle Show, Imperial War Museum, Duxford, uk. 5 (Sat), 7 (Mon), 9 (Wed), 11 (Fri) June 2010: Isle of Man TT (practice 29 May - 4 June) -- [www]. The TT began 99 years ago. 2 June 2010: Ford announced that it would end production of its Mercury marque in late 2010 -- [www]. 1 June 2010: "James Bond's actual Aston Martin DB5 as driven by Sean Connery in [the movies] Goldfinger and Thunderball to be auctioned by [RM auctions] 27th October in London, UK ..." -- [www]['10]. Two built, one surviving, with the "rather interesting modifications". 31 May 2010: Saab, since being bought by Spyker, is said to be on track to sell the new Saab 9-5 sedan in July, from £26.5K. 2-litre diesel, to £37.8K. 2.8-litre V6 4x4 -- [www] (& SAE [www][25/6]). 30-31 May 2010: Motorsport at the Palace, sprint event at Crystal Palace Park, London [www], [www]. 30 May 2010, race 7: Turkish F1 Grand Prix [www], start 3pm local, noon GMT (and Scuderia Ferrari's 800th Grand Prix). Results: 1. Lewis Hamilton [McLaren Mercedes], 2. Jenson Button (McLaren Mercedes), 3. Mark Webber [Red Bull]. On lap 41 the Red Bulls were 1-2 when Sebastian Vettel moved to pass Webber. There was a collision and Vettel could not continue. Webber rejoined in 3rd after changing his car's nose and front wing. Button briefly took the lead on lap 48 but Hamilton fought back. The Red Bull team was not happy. 30 May 2010 (Sun): Indianapolis 500 [www]. 1. Dario Franchitti of team Target Chip Ganassi. 28 May 2010: On Toyota Prius Plug-In Hybrid prototypes -- SAE [www]. Due on sale 2012. 24 May 2010: Toyota recall for some Lexus LS460 and LS600hL, "the Steering Control ECU programming for the Variable Gear Ratio Steering (VGRS) system can result in the steering wheel becoming off-centre by a maximum of up to 90° ... such as when conducting a U-Turn or accelerating quickly following a sharp turn ..." -- PRA #2010/11670 [www]. Also see 20 Oct. above, and 19 April below. 22 May 2010: Bonham's auction of Aston Martin and Lagonda motor cars and related automobilia, at AM works service, Newport Pagnell [www], including 'VMF 65' an ex-works 1950 Aston Martin DB2 team car (sold £513K), and a 1987 Aston Martin Zagato V8 (sold £128K). 20 May 2010: The UK's new Lib-Cons coalition Gvmt "will urge the EU to cut emissions by 30% from 1990 levels by 2020, rather than the current 20% target ..." -- BBC [www]. 19 May 2010: After bouncing around us$80-86/b for three months, oil dipped below us$69/b (au$1.00=us$0.86 19/5, =us$0.83 21/5). 17 May 2010: GM, bankrupt in 2009, made a profit in the first quarter of 2010 -- [www]. 17 May 2010: Nissan announced that its 'Leaf' electric car would cost £23,350 (€27,471) in the UK "after government incentives" (£28,350 (€33,353) before), when on sale from Feb 2011 -- [www]. 16 May 2010, race 6: Monaco F1 Grand Prix [www], start 2pm local, noon GMT. Results: 1. Mark Webber [Red Bull], 2. Sebastian Vettel (Red Bull), 3. Robert Kubica [Renault]. Webber was comfortably the fastest at Monaco. 15-16 May 2010 (Sat-Sun): MotorMart Autojumble and also Old Sodbury's Land Rover Sortout, Beaulieu [www]. 14 May 2010: Land Rover announced that the coming "compact" Range Rover line up, based on the LRX prototype (shown early 2008), would include 4WD (~£35K) and 2WD (~£30K) models (2011) [www][14/5], [www][24/5], and a diesel hybrid (~2013). The production version is to be called the 'Evoque' [1 July]. 13 May 2010: Suzuki released details of progress with the Swift series hybrid, shown at the Tokyo Motor Show 21 October 2009: 660cc petrol, 55kW electric, 2.66kWhr litium-ion battery, 15km pure electric range -- [www]. 12 May 2010: Chrysler announced US prices for the all new "2011" Jeep Grand Cherokee with 'independent front and rear suspension', 3.6-litre V6, 5.7-litre V8, 4x4 from us$32,995 to $43K, 4x2(!) from $30,995 to $39.5K -- [www]. 9 May 2010, race 5: Spanish F1 Grand Prix, [www], start 2pm local, noon GMT. Results: 1. Mark Webber [Red Bull], 2. Fernando Alonso [Ferrari], 3. Sebastian Vettel (Red Bull). The Red Bulls qualified the best part of a second faster than anyone else. Not the most exciting race (dry). Lewis Hamilton (McLaren) crashed out of 2nd place on the penultimate lap, apparently due to a puncture. 6 May 2010, .uk: General Election (AA [www]). 7 May: Conservative 306, Labour 258, Liberal Democrat 57, others 28, postponed 1 (650 seats = 2×325). 11 May 2010 Tue. : The Conservatives and Liberal-Democrats formed a coalition -- PM David Cameron (C), Deputy PM Nick Clegg (L-D) -- [BBC]. 5 May 2010: "China Chang'an Automobile Group and PSA Peugeot Citroen have signed a letter of intent for the creation of an automotive 50%/50% joint venture in China. ..." -- PSA-Peugeot [www]. 5 May 2010, .au: Early snow fell at Mount Hotham and Falls Creek in the Victorian Alps -- [www]. 3 May 2010: "BAE Systems, through its ... teammates Navistar Defense and ArvinMeritor ... announce an on-time delivery of its Joint Light Tactical Vehicle (JLTV) prototype vehicles to the U.S. Army and Marine Corps. ..." -- BAE [www]. (On tests [www][16/6] inc. an Australian connection, & [www][4/6]; "three right hand [JLTVs]" for au [www][21/6].) Also see 27 Jan. below. 30 April 2010: Bonhams auction Les Grandes Marques a Monaco [www], including a 1949 Ferrari 166/195S chassis #051S (not sold). 28 April 2010, usa: "EDRs [Event Data Recorders ("black boxes")] need to be mandated and their data needs to be accessible so that automakers can learn from malfunctions. Today I introduced the VEHICLE Safety Improvements Act which will require the National Highway Traffic Safety Administration (NHTSA) to make these changes a reality. ..." -- Senator Tom Udall (NM) [www]. 28 April 2010, .au, Vic. : "... the price margin of premium over regular unleaded fuel [ULP] has risen 40% for no justifiable reason. ..." -- RACV [www]. 28 April 2010: Williams F1 announced that it had "acquired a majority shareholding [78%] in Williams Hybrid Power (WHP), ..." -- [www]. WHP (originally Automotive Hybrid Power) devised a magnetically loaded composite flywheel (MLC) kinetic energy recovery system (KERS) which was of special interest to F1 in 2009. The F1 teams decided not to use KERS in 2010. However Porsche showed a 911 GT3 R Hybrid sports car with a WHP-built KERS at the Geneva Motor Show, 4-14 March 2010, below. 27 April 2010 .au: "5 star [safety] for VW Polo, 4 star results For Toyota Camry Hybrid and Great Wall Motors SUV ..." -- ANCAP [www]. 25 April 2010, .uk: Drive It Day for classic vehicles -- FBHVC [www]. 23-25 April 2010: Concorso d'Eleganza, Villa d'Este, Lake Como [www]. 19 April 2010: Toyota "... agreed to settle the civil penalty demanded in the National Highway Traffic Safety Admin. 's April 5 letter related to the company's recall for slow-to-return and sticky accelerator pedals by paying [us]$16.4 million. ..." [www]. 18 April 2010, race 4: Chinese F1 Grand Prix [www], start 3pm local, 7am GMT. Results: 1. Jenson Button [McLaren Mercedes], 2. Lewis Hamilton (McLaren Mercedes), 3. Nico Rosberg [Mercedes GP]. Another interesting race with rain just after the start, and from the middle of the race, spicing things up. 16 April 2010: "Average UK petrol prices have now reached 120.53p a litre ..." -- AA [www]. 15-18 April 2010: Top Marques Monaco [www]. 14 April 2010: Toyota 'has announced that it will suspend sales in the US of ... the Lexus GX 460 [4WD] ... Consumer Reports said it had judged the  a "Don't Buy: Safety Risk" because of a problem experienced during its standard emergency-handling tests. ...' -- BBC [www], & T [www]. 14 April 2010: The US Army "awarded a ... research contract to VanDyne SuperTurbo, Inc. [for] 'Diesel Waste Heat Recovery Utilizing a SuperTurbocharger'. ... turbocharging, turbocompounding and supercharging [combined] connected to the engine by a Continuously Variable Transmission [CVT]." -- [www]. 13-15 April 2010: Commercial Vehicle Operator Show, NEC, Birmingham, .uk [www]['10], [www]['09]. 8-11 April 2010: The Man from Snowy River Bush Festival, Corryong, Vic., .au [www]. 7 April 2010 .au: ¿GFC over? "Record monthly sales figure for March, eclipsing the previous record set in 2007 by 352 ... 94,744 passenger cars, SUVs and commercial vehicles were sold in March, up 25.2% (or 19,094 vehicles) on the same month in 2009. ... SUV sales led the charge [up] 44.1% ..." -- FCAI [www]. 7 April 2010 .uk: For the first time since WW2, the "number of cars on UK roads [fell ... to] 31,035,791 ... a 0.7% fall compared to 2008 ..." -- SMMT [www]. 5 April 2010: US light crude oil reached us$86.64/barrel; 6 Apr., au$1.00=us$0.9225. (remember us$147/b, au$1.00~us$0.95, July 2008). 4 April 2010, race 3: Malaysian F1 Grand Prix [www], start 4pm local, 8am GMT. Results: 1. Sebastian Vettel [Red Bull], 2. Mark Webber (Red Bull), 3. Nico Rosberg [Mercedes GP]. Qualifying, in the wet, caught out Ferrari and McLaren, and the first half of the (dry) race was exciting as they moved up the field. 2-11 April 2010: New York Auto Show [www] (press 31/3 and 1/4, trade 1/4). 2 April (Good Friday) - 5 April (Mon) 2010: Easter. Melbourne ULP generally au$1.33-$1.35/l; [Perth] ULP ~$1.30/l. 1 April 2010: Daimler AG announced that it had reached "settlement with U.S. Securities and Exchange Commission (SEC) and U.S. Department of Justice (DOJ) ... [to pay] a total of us$185 (approx. €138) million, in fines and civil disgorgement ... [and] pleaded guilty to charges of violations of anti-bribery provisions of the FCPA in U.S. District Court in Washington. ..." -- [www]; also see BBC [www]. 1 April 2010, .uk: New car tax (rego.) rates for poms buying new cars. Cars registered before 1 March 2001 <1550cc £125/y, ≥1550cc £205/y. Registered on or after 1 March 2001 A ≤100 gm CO2/km free, ..., G 151-165 gm CO2/km £155/y, ..., M >255 gm CO2/km £425/y. And 1st year rates ..., G 151-165 gm CO2/km £155/y, ..., M >255 gm CO2/km £950/y! -- [www]. Looks like a fair incentive to keep a big old car going. 29 March 2010 NT, .au: ".. At 3:30pm CST tropical cyclone Paul ... was estimated to be 70km NNW of Alyangula and 140km SSW of Nhulunbuy, moving WSW at 5km/h ..." -- [BOM]. 28 March 2010 (Sun), race 2: Australian F1 Grand Prix, Melbourne, Vic. [www], start 5pm local, 6am GMT. Results: 1. Jenson Button [McLaren Mercedes], 2. Robert Kubica [Renault], 3. Filipe Massa [Ferrari]. An exciting race -- and one which started with a wet track. But towards the end, in the dry, it was again clear that even if car A is 1 sec/lap faster than car B, A cannot pass B unless B's driver makes a mistake. 24 March 2010: GM and SAIC (.cn) unveiled "three EN-V models ... in Shanghai," i.e., 2-seat, 2-wheel, electric Segways -- [www]. Also see 7 April 2009. 23 March 2010: There is a good case that consumers, and their countries, not the manufacturers, should be held responsible for the CO2 created in making imported goods. 23 March 2010: Owen, Inderwildia and King (Smith School of Enterprise and the Environment, Oxford) in 'The Status of Conventional Oil Reserves - Hype or Cause for Concern? ', Energy Policy (in press) [doi:10.1016/j.enpol.2010.02.026], discuss "peak oil" and suggest that "current oil reserve estimates should be downgraded from between 1150-1350 billion barrels to between 850-900 billion b." -- [www]. 22 March 2010: Production restarted at Saab, recently bought by Spyker from GM (see 23 Feb. below) -- [www][22/3/'10]. 22 March 2010: Chrysler, of the huge Dodge Ram, announced that it will produce an electric version of the Fiat 500, the 500EV, for 2012. It will also "build a total of 140 Ram PHEVs [plug-in hybrid electric vehicles] for a three-year [DOE] demonstration project ... 5.7-liter HEMI V-8 ... 12KwH lithium ion battery ..." But it had decided to "cancel development work on the 2011 Ram HEV" announced in 2008 -- [www]. March 2010: "... the large majority of Toyota and Lexus vehicles have EDRs [black boxes] equipped to record both pre- and post-crash data, several models have EDRs that do not record pre-crash data. ... However, by the end of 2010, all newly-manufactured Toyota and Lexus vehicles will have EDRs that can record both pre- and post-crash data. ..." -- [www]. Many cars from other makers also record such data. 21 March 2010, 8am, Qld .au: "... Ex-tropical cyclone Ului, was estimated to be overland 120km WSW of Bowen and 60km W of Collinsville, and moving WSW at 26km/h ..." -- [BOM], [ABC]. 19-21 March 2010: Phillip Island Classic, Vic., .au [www]. 19-21 March 2010: National 4x4 Show, Brisbane, Qld, .au [www]. 19 March 2010, Qld .au: "The North Burnett Council says recent heavy rain has caused significant damage to the region's roads. ..." -- [ABC]. 18 March 2010: Nissan announced that the electric "Nissan LEAF will be manufactured at its plant in Sunderland, UK. ... Production of [the] LEAF will begin in Oppama, Japan [in 2010] ... Smyrna, Tennessee, USA in 2012 ... Sunderland will come on-line in early 2013 ..." -- [www]. 18 March 2010: Ron Dennis launched 'McLaren Automotive' and its forthcoming 'MP4-12C' road car, [www]. Some details of the twin-turbo V8 car were released 9 Sept. 2009. 17 March 2010: Tropical cyclone Ului was about 1200km northeast of Mackay, Qld, and 1360km east of Cooktown -- [BOM]. By 7pm 19 March, 960km E of Townsville, moving SW at 17km/h. Ului crossed the Qld coast, 21 March. 16 March 2010 .uk: Diesel-electric series-hybrid double-decker buses for Manchester and Oxford will "deliver fuel consumption and CO2 emissions that are up to 30% lower than conventional buses. ..." -- BAE [www]. 15 March 2010 .au: A report released by the BOM & CSIRO on the state of the climate observed - "Highly variable rainfall across the country, with substantial increases in rainfall in northern and central parts of Australia, [and] decreases across much of southern and eastern Australia. Rapidly rising sea levels from 1993 to 2009, with levels around Australia rising, between 1.5 and 3mm per year in Australia's south and east and between 7 and 10mm in [its] north," with more to come -- BOM , , CSIRO  inc. pdf. 14 March 2010: 4WD Swap Meet (org. Dandenong Ranges 4WD Club) 8am-2pm, Yarra Glen Showgrounds, Vic., .au (Melways 275 A2) [www]. 14 March 2010, race 1: Bahrain F1 Grand Prix [www], start time 3pm local, noon GMT. 12 teams: [BMW-Sauber], [Ferrari], [Force India], [HRT], [Lotus F1], [McLaren Mercedes], [Mercedes GP], [Red Bull], [Renault], [Toro Rosso], [Virgin], [Williams]. Results: 1. Fernando Alonso (Ferrari), 2. Felipe Massa (Ferrari), 3. Lewis Hamilton (McLaren). Not an exciting race. Sebastian Vettel (Red Bull) led from the start until he had a spark-plug problem about lap 33 of 49 and fell back to 4th. Of the new teams, the two Lotuses finished but not the Virgin and HRT cars. 13-14 March 2010, .au: The Pajero Challenge, Vic., .au -- [www][3/'10]. 12-14 March 2010: Race Retro, Historic Motorsport Show, Stoneleigh Park, Coventry, .uk [www]. 9 March 2010: Automobili Lamborghini delivered 1,515 cars in 2009, down 38% on the 2,430 of 2008 -- VW [www]. 9 March 2010: Daimler (Mercedes) "sold all of its 5.34% of the ordinary shares of Indian automotive company Tata Motors ..." -- [www]. 8-14 March 2010: 31st Corowa Swim In (military vehicles), the year of the Jeep, Corowa, Vic., .au [www], [www]. 8 March 2010: If you had €298,000 (+VAT) you could have bought an Audi R8 LMS GT3 race sports car, except that 2010 production "is already sold out" -- Audi. 8 March 2010 .au: "Flood waters inundate Queensland ..." -- [ABC][8/3], [ABC][9/3]. 8 March (Mon) 2010: Labour Day (Vic., .au). 6-7 March 2010: Scoresby Steamfest, 1200 Ferntree Gully Rd., Scoresby, Vic., .au [www]. 5-8 March 2010: 34th Port Fairy Folk Festival, Vic., .au [www]. 4-14 March 2010: 80th Geneva Motor Show (Salon de l'Auto Geneve) [www]. Including Aston Martin production 4-door Rapide [www], & Cygnet (~Toyota iQ!) [www]; Audi new A1 [www] & [26/8], RS5 4.2 l V8 [www]; Chrysler cossied up to Lancia (of Fiat) [www]; Citroen DS3 racer, DS4 high rider concept, and DS5 (that's new 'DS' not 1970's DS); Ferrari 599 HY-KERS hybrid(!) concept [www]; Fiat some new engines [www]; Ford C-MAX range [www]; Hyundai i-Flow 4-door coupe concept [www]; Jaguar supercharged XKR coupe 'special edition' [www]; Kia new Sportage [www] [www]; Koenigsegg new Agera [www]; Lotus Evora 414E series-hybrid concept [www], [www]; Mazda new Mazda5 ('Premacy' in .jp) [www]; Mercedes F800 4-door coupe hybrid concept (80kW+10kWh+220kW petrol V6) & also a fuel-cell variant [www]; Mitsubishi new ASX Compact Crossover [www]; Nissan Juke small optional-4wd SUV for sale later 2010 [www] [www], new global compact car (~Micra) & convertible 370Z [www]; Pagani [www]; Peugeot SR1 concept coupe hybrid [www], and '5 By Peugeot' concept hybrid 4-door (?407+→508?) [www]; Porsche 911 (ver. '997') Turbo S [www] [www], 918 Spyder V8+hybrid concept (78mpg, 70gm CO2/km claimed) [www], 911 GT3 R hybrid long distance racer with an electric flywheel energy store [www], & replacement Cayenne 4x4; Renault Wind(!) for sale 2010 [www]; Tata Nano EV electric [www], [www]; Toyota Lexus CT 200h hybrid [www]; Vauxhall (/Opel) replacement Meriva for sale 2010 [www][2/'10] [www], & Flextreme GT/E concept series-hybrid (120kW+16kWh+53kW petrol) [www], [www]; Volvo new S60 [www][2/'10]; VW Polo GTI, CrossPolo & CrossGolf [www][3/'10]. Quite a lot of new stuff after two very hard years for car makers, and with the global financial crisis over, maybe? 4 March 2010: "The Renault F1 Team today confirmed a cooperation agreement that will see branding from Lada ..." -- [www]. No, not the 1st April. March 2010 .uk: "OLEV Plug-in Car Grant. A grant to reduce the cost of eligible electric, plug-in hybrid and hydrogen cars by 25% (to a maximum of £5,000) will be available to consumers and business buyers from Jan. 2011 and will run until 2014. ..." -- [www]. 3 March 2010: In EuroNCAP's "latest set of [safety] results only one car, the Toyota Verso, receives Euro NCAP's maximum five star rating. ..." -- [www]. 3 March 2010: The FIA released a revised entry list of 12 teams for the 2010 F1 World Championship: McLaren (Mercedes), Mercedes Benz GP, Red Bull Racing (Renault), Ferrari, Williams (Cosworth), Renault, Force India (Mercedes), Scuderia Toro Rosso (Ferrari), Lotus (Cosworth), HRT F1 Team (Cosworth), BMW Sauber (Ferrari! ), Virgin (Cosworth) -- [www]. 'HRT' was 'Campos'. The USF1 team withdrew -- [www]. 2 March 2010: "... the General Assembly [of the UN] today proclaimed the period 2011-2020 as the Decade of Action for Road Safety ..." -- UN [www]. "Each year 1.3 million people are killed on the world's roads ..." -- FIA [www]. 1 March 2010, outback rain .au: "... The heaviest daily rainfall totals recorded to 9am Monday [1st] include Birdsville Airport 168mm ..." -- [BOM]. 2/3/10: And flooding in SE Queensland, e.g., [ABC]. 27 February 2010: Heavy rain in Alice Springs made the Todd River flow -- [BOM]. 26 February 2010: Terminal gate prices: ULP Sydney $1.20, Melb. $1.19, Perth $1.21; diesel Sydney $1.16, Melb. $1.15, Perth $1.17 -- AIP [www]. Hardly a noticeable fuel price cycle in Melb. over the last couple of weeks with ULP at a fairly steady $1.20-$1.22/l. 24 February 2010: GM announced that "Sichuan Tengzhong Heavy Industrial Machines Co., Ltd. (Tengzhong) was unable to complete the acquisition of Hummer. As a result, GM will begin the orderly wind-down of the Hummer operations. ..." -- [www]. 23 February 2010: Spyker announced that it had finalised its deal to buy Saab from GM -- [www]. 21 February 2010 (Sun): Victorian 4WD Show, Wandin, Vic., .au [www]. 19-21 February 2010 (Fri-Sun): Trucks in Action (truck show) Lardner Park, Warragul, Vic., .au [www]. 19 February 2010 .uk: "... Toyota AYGO, iQ, Yaris, Auris, Corolla, Verso, Avensis, Peugeot 107, Citroen C1. These vehicles can't be used for your [uk] practical driving test as they are subject to a safety notice ..." -- [www][19/2/'10]. 18 February 2010 .au: Defense Minister Greg Combet announced that the "Australian Defence Force (ADF) has taken delivery of eleven Mercedes-Benz G-Wagen vehicles..." -- [www][#22/10]. So, 1189 more to come. And, "... trials for competing medium to heavy weight trucks for the [.au] Army had been completed. ... Thales' Bushmaster Utility, MAN Military Vehicle Systems [.au]'s HX vehicle series, and Mercedes-Benz ... Zetros & Actros vehicle series [are] the contenders to proceed to the next stage..." -- [www][#23/10], Thales [www], Man [www]. 16 February 2010 .au: "... new vehicle market ... The [.au] National Average Carbon Emission (NACE) figure for 2009 is 218.5 grams of CO2 per kilometre [1.8% less than 2008] ... [Includes] all new passenger cars, SUVs and light commercial utes, vans and buses (upto 3.5 tonne) ..." -- FCAI [www]. Also see 27 Jan. below. 16 February 2010, .au: Top-Gear on Channel Nine TV, Tuesdays at 7.30pm (was SBS previously) -- record it and fast forward the ads. 12-21 February 2010: Chicago Auto Show (press 10 & 11) [www]. 12 February 2010: Lotus's F1 'T127' launched, in classic green and gold [www] & [BBC] (drivers Heikki Kovalainen & Jarno Trulli). Lotus was last in F1 in 1994. Lotus, Williams and Virgin are using Cosworth CA2010 V8 engines in 2010. 10 February 2010: Red Bull's F1 'RB6' launched -- [www] (drivers: Sebastian Vettel & Mark Webber). 9 February 2010: Force India's F1 'VJM03' online -- [www] (drivers Vitantonio (Tonio) Liuzzi & Adrian Sutil). 9 February 2010, .au: Toyota issued a recall of the current model Toyota Prius, sold in .au from July 2009, to fix an ABS braking problem -- PRA #: 2010/11412 [www], [ABC]. Also globally -- [BBC]. Toyota [www][9/2]. 9 February 2010: "Honda has expanded a ... recall of certain 2001 and 2002 model-year vehicles to replace the driver's airbag inflator in an additional 378,758 vehicles in the U.S. ... may deploy with too much pressure, which can cause the inflator casing to rupture ..." -- [www]. 4 February 2010: Stories of brake problems on the Toyota Prius added to Toyota's woes, e.g., BBC [www][4/2], Toyota [www][4/2]. Also see 9 Feb. above. 2 February 2010: BMW and Peugeot "signed an agreement on further development of 4-cylinder petrol engine ... Jan 27 ..." -- [www]. 1 February 2010: New F1 cars shown for BMW Sauber 'C29' [www] (drivers Kamui Kobayashi & Pedro de la Rosa). Renault 'R30' [www] (drivers Robert Kubica & Vitaly Petrov). Toro Rosso 'STR5' [www] (drivers Sebastien Buemi & Jaime Alguersuari). Williams 'FW32' [www] (drivers Rubens Barrichello & Nico Hulkenberg). And, 3/2/'10, Virgin 'VR-01' [www] (drivers Timo Glock & Lucas di Grassi). 29 January 2010: McLaren's 2010 F1 car launched, the 'MP4-25' -- [www]. 2010 drivers: Jenson Button, and Lewis Hamilton. 28 January 2010: Ferrari's 2010 F1 car launched, the 'F10' -- [www]. 2010 drivers: Fernando Alonso, and Felipe Massa. 28 January 2010: Euro NCAP's top five safest cars of 2009 were 1. VW Golf VI, 2. Honda Insight, 3. Toyota Prius, 4. Hyundai i20, =5. Toyota Avensis, =5. Volvo XC60, =5. Opel/Vauxhall Astra -- [www]. Note that the ratings include pedestrian protection as a factor. 27 January 2010 .eu: Average CO2 emissions of new cars sold in Europe fell 3.3% in 2008, v. 2007, to 153.5 gm CO2/km -- EU [www], [pdf]. Also see 16 Feb. above, and Dec. 2011. 27 January 2010 .au: "... Climate Change Minister Penny Wong says the Government will have a 5% [CO2] reduction target with no conditions applying. Senator Wong says Australia will only lift its target to 15% or 25% if countries like China, India and the United States agree to verifiable reductions. ..." -- [ABC]. 27 January 2010: US army.mil carried a progress report on the Joint Light Tactical Vehicle (JLTV), although "light" means ~7 tons, IEDs ⇒ armour ⇒ weight ⇒ Hummer too small. BAE-Navistar, General Tactical Vehicles, and Lockheed-BAE are building JLTV prototypes for testing which includes blowing some of them up. [www]. 26 January 2010: "Toyota Motor Sales (TMS), U.S.A., Inc., ... temporarily suspend sales of eight models involved in the recall for sticking accelerator pedal ... 2009-2010 RAV4, 2009-2010 Corolla, 2009-2010 Matrix, 2005-2010 Avalon, certain 2007-2010 Camry, 2010 Highlander, 2007-2010 Tundra, 2008-2010 Sequoia [this is] separate from the on-going recall of Toyota and Lexus vehicles to reduce the risk of pedal entrapment by incorrect or out of place accessory floor mats. ..." -- TMS [www]. And "... recall of vehicles in the US, Europe and China ..." -- [BBC][28/1]. 26 January 2010: "General Motors and Spyker Cars NV today confirmed that they have reached a binding agreement on the purchase of Saab Automobile AB. ... Spyker intends to form a new company, Saab Spyker Automobiles ... -- [www]. "... for a consideration of us$74 million ... subject to the execution of a €400 million loan agreement between Saab and the [EIB] ... GM will retain redeemable preference shares of us$326 million. ... less than 1% of the voting right ..." -- pdf@[www]. e.g., RACV Australia Day Picnic and Federation Vehicle Display, Kings Domain Gardens, Melb., Vic., 10am-4pm. Featured marque: Alfa Romeo. 25 January 2010: The 2010 Mercedes GP Petronas F1 car, the 'W01', "was presented at the Mercedes-Benz Museum in Stuttgart" with drivers Nico Rosberg and Michael Schumacher, and team management Ross Brawn, Nick Fry and Norbert Haug in attendance -- [www]. 25 January 2010: "... Toyota and ... mining company [Orocubre Ltd., .au] are teaming up to develop a large lithium mine in Argentina..." -- ABC [www]. Hybrids & plug-ins ⇒batteries ⇒lithium. 23 January 2010: Bonham's Retromobile auction, Paris, including a 1932 Alfa Romeo 8C 2300 Monza, and a 1926-27 1.5-litre supercharged straight-eight Talbot-Darracq (on a E. Plate 1931 chassis) -- [www]. A 1935 Hispano-Suiza T56 Torpedo sold for €475,000. 23 January 2010: "Tropical Cyclone Olga has formed in the Coral Sea overnight and is currently moving westward towards the [Qld] coast while intensifying ..." -- [BOM][23/1]. 21 January 2010: GM, which nearly sold Opel / Vauxhall in '09 but didn't, "announced today the intent to wind down its manufacturing plant in Antwerp, Belgium in the course of 2010." -- [www], [www]. Cars: Carlos Sainz & Lucas Cruz (VW) (VW 1-2-3); Trucks: Vladimir Chagin, Sergey Savostin & Eduard Nikolaev (Kamaz); Bikes: Cyril Despres (KTM); Quads: Marcos Patronelli (Yamaha); [www][16/1/'10]. 16 January 2010: "... More than 50 millimetres [2"] of rain fell in the Uluru Kata-Tjuta Park in Central Australia ..." -- ABC [www][16/1]. "... a remarkable 52.4mm dumped over the area - that's a third of last year's total rainfall. ..." -- Parks [www][12/1]. (Uluru aka Ayres Rock). 16-24 January 2010: North American International Auto Show (NAIAS) Detroit [www]. [*] which, depending how hybrids are rated, could be X-prize territory, 120mpg(Imp), 100mpg(US) -- [www] & see 7 April 2009. 14-24 January 2010: European Motor Show, Brussels [www]. 14-17 January 2010: Autosport International 2010, NEC, Birmingham, UK [www]. NB. The first 2 days are "trade" only. 11 January 2010: "... The China Association of Automobile Manufacturers said 13.6 million vehicles were sold within the country last year. That compares with just over 10 million vehicles in the US, which was previously the world's largest market. ..." -- BBC [www]. 7 January 2010, uk: In 2009, "... full year [car] registrations [were] down 6.4% [v. 2008] to 1,994,999 units, the lowest level since 1995. ... 'The December  new car market was boosted by the Scrappage Incentive Scheme and consumers looking to avoid January's VAT increase' ..." -- SMMT [www][7/1]. .au: 937,328 passenger cars, SUVs and commercial vehicles were sold in ... 2009 (down 7.4% compared to 2008)." -- FCAI [www][6/1]. The (GM) Holden Commodore was #1 (44,387), the Toyoto Corolla (39,013) #2.
usa: Ford US (inc. Lincoln, Mercury & Volvo) sold 1,682,323 vehicles in 2009, down 15% on 2008 (1.99m) -- Ford [www][5/1]. GM US "delivered 2,084,492 vehicles [in 2009], down 30% compared with 2008." -- GM [www][5/1/2010]. Chrysler US "finished the year  with 931,402 units sold, a decline of 36% compared with 2008." -- Chrysler [www] -- being its lowest sales since 1962" -- BBC [www][10/1]. Worldwide, Mazda's 2009 total vehicle production 983,867, 27% less than 2008 -- [www][25/1]. Mitsubishi's "total global production [in 2009] came in at 794,681 units, 39.5% down from " [www][25/1]. Nissan's "global sales in 2009 decreased 9.4% [v.2008] to 3,358,413 units" -- [www][25/1]. VW group deliveries "grew 1.1% to 6.29 million vehicles", and VW brand "deliveries increased by 7.8% to 3.95 million vehicles" in 2009 v. '08 -- VW [www][11/1]. 5 January 2010, .au: "Australia's annual mean temperature for 2009 was 0.9°C above the 1961-90 avg., making it the nation's 2nd warmest year since high-quality records began in 1910. High temperatures were especially notable in the S.E. during the 2nd half of the year, with Australia, Victoria, South Australia and NSW all recording their warmest July-December periods on record. ... [and] warmest decade on record, with a decadal mean temp. anomaly of +0.48°C (above the 1961-90 avg.)." -- [BOM]. 5 January 2010, .uk: "Average UK petrol prices have risen above £5/gallon [£1.10/l, au$1.92/l] for the first time in 15 months ..." -- the AA [www] (note, imperial gallon). 5 January 2010: The 'Tribunal de Grande Instance' (.fr) overturned the indefinite ban from F1 of Flavio Briatore, and the 5yr ban on Pat Symonds, because "they are not FIA licence holders and, according to the Court, ... not subject to any FIA rules. ..." -- FIA [www] (see 21 Sept. 2009). Counter appeals and actions expected.